Tacoma 4x4 V6, 4x4 V6, **CLEAN TITLE HISTORY**. 4.0L V6 EFI DOHC 24V, 5-Speed Automatic, 4WD, 115V/400W Deck Powerpoint, Active Traction Control (A-TRAC), Bilstein Shocks, Chrome Grille Surround Rear Bumper, Locking Rear Differential, Off Road Tuned Suspension, Remote Keyless Entry System, Tailgate-Handle Integrated Backup Camera, TRD Off-Road Graphics, and TRD Off-Road Package. 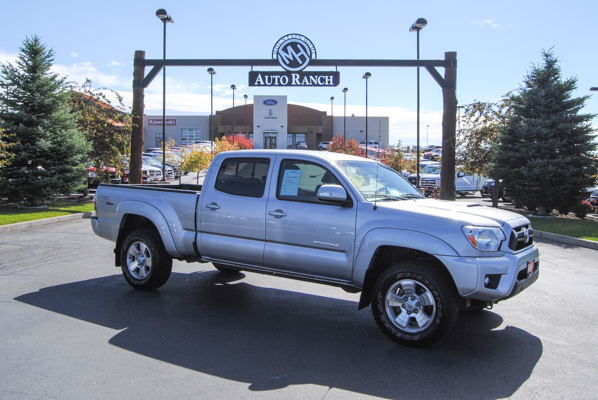 Thank you for your interest in our ToyotaTacoma. Are you looking for a reliable used vehicle? 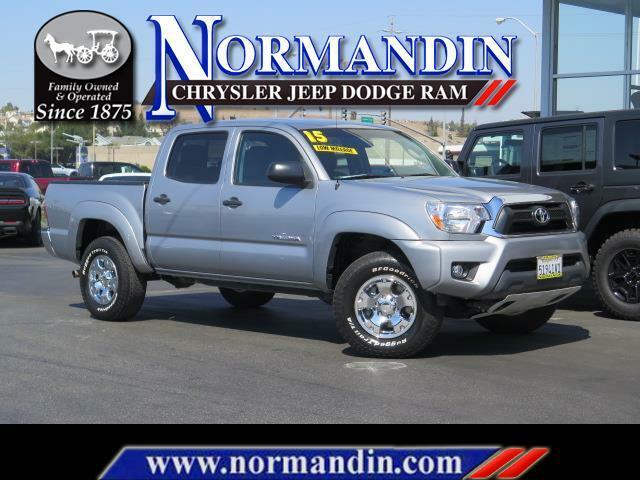 Well, with this robust, reliable 2015 Toyota Tacoma, you are going to get it.. An affordable and dependable Toyota, it's one of the most sought after used vehicles on the market because it NEVER lets owners down. In need of a new or pre-owned Chrysler, Jeep and Dodge vehicle? Looking for financing, vehicle service or a specific auto part? You're in luck. Normandin Chrysler Jeep Dodge supplies all of the above and does so with excellence. We are located at 900 Capitol Expressway Auto Mall and provide San Jose, CA and surrounding areas with a staff of friendly individuals dedicated to customer satisfaction. Stop by today to check out the impressive set of services we provide. If you still have questions, call us at (877) 330-0391., **CLEAN TITLE HISTORY**. 4.0L V6 EFI DOHC 24V, 5-Speed Automatic, 4WD, 115V/400W Deck Powerpoint, Active Traction Control (A-TRAC), Bilstein Shocks, Chrome Grille Surround Rear Bumper, Locking Rear Differential, Off Road Tuned Suspension, Remote Keyless Entry System, Tailgate-Handle Integrated Backup Camera, TRD Off-Road Graphics, and TRD Off-Road Package. Thank you for your interest in our ToyotaTacoma. Are you looking for a reliable used vehicle? 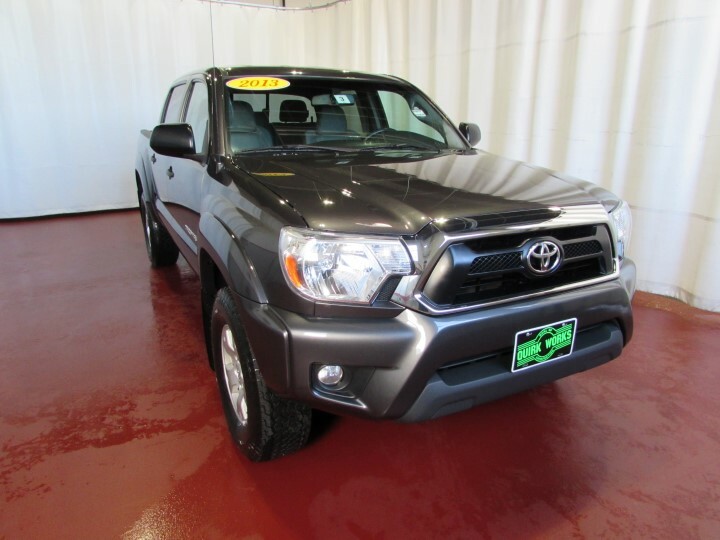 Well, with this robust, reliable 2015 Toyota Tacoma, you are going to get it.. An affordable and dependable Toyota, it's one of the most sought after used vehicles on the market because it NEVER lets owners down. In need of a new or pre-owned Chrysler, Jeep and Dodge vehicle? Looking for financing, vehicle service or a specific auto part? You're in luck. Normandin Chrysler Jeep Dodge supplies all of the above and does so with excellence. We are located at 900 Capitol Expressway Auto Mall and provide San Jose, CA and surrounding areas with a staff of friendly individuals dedicated to customer satisfaction. Stop by today to check out the impressive set of services we provide. If you still have questions, call us at (877) 330-0391. 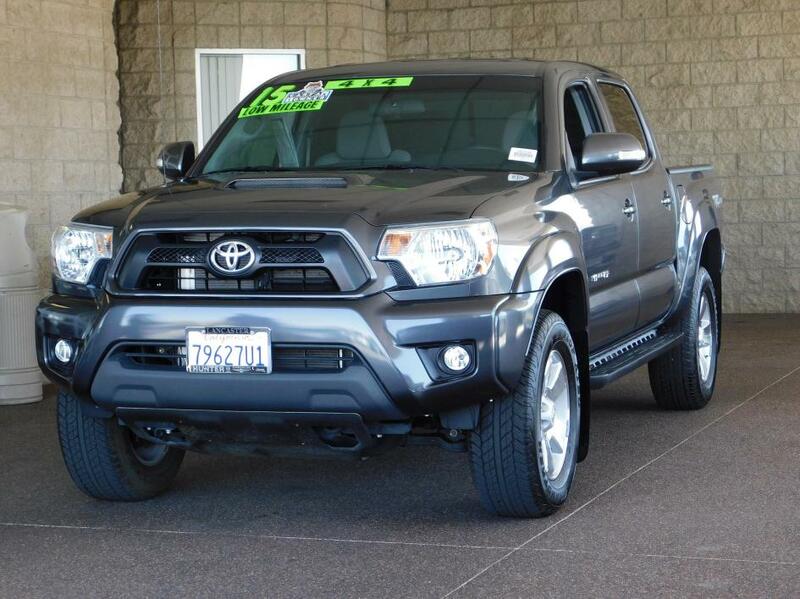 Tacoma 4x4 V6, 4x4 V6, WAS $35,032, EPA 21 MPG Hwy/16 MPG City!, PRICED TO MOVE $1,000 below Kelley Blue Book! CARFAX 1-Owner, ONLY 7,865 Miles! Tacoma trim. Bluetooth, CD Player, iPod/MP3 Input, 4x4. READ MORE! KEY FEATURES INCLUDE 4x4, iPod/MP3 Input, Bluetooth, CD Player. MP3 Player, Child Safety Locks, Electronic Stability Control, Bucket Seats, Brake Assist. VEHICLE REVIEWS 's review says 'The Tacoma's utility is enhanced by the standard composite bedliner, which guards against the dents and dings that typically accumulate in a truck bed.'. Great Gas Mileage: 21 MPG Hwy. PRICED TO MOVE Was $35,032. This Tacoma is priced $1,000 below Kelley Blue Book. WHO WE ARE Family owned since 1944. Visit us in the heart of the Lancaster Auto Mall. Pricing analysis performed on 7/27/2016. Fuel economy calculations based on original manufacturer data for trim engine configuration. Please confirm the accuracy of the included equipment by calling us prior to purchase., 4-Wheel ABS,4x4,5-Speed A/T,A/C,AM/FM Stereo,Adjustable Steering Wheel,Auto-Off Headlights,Bluetooth,Brake Assist,Bucket Seats,CD Player,Child Safety Locks,Cloth Seats,Daytime Running Lights,Driver Air Bag,Driver Lumbar,Electronic Stability Control,Front Disc/Rear Drum Brakes,Full Size Spare Tire,Gasoline Fuel,Intermittent Wipers,MP3 Player,Pass-Through Rear Seat,Passenger Air Bag,Passenger Vanity Mirror,Power Door Locks,Power Driver Mirror,Power Steering,Power Windows,Rear Head Air Bag,Side Head Air Bag,Steel Wheels,Tire Pressure Monitoring System,Tires - Front On/Off Road,Tires - Rear On/Off Road,V6 Cylinder Engine,Vehicle Anti-Theft System,iPod/MP3 Input WAS $35,032, EPA 21 MPG Hwy/16 MPG City!, PRICED TO MOVE $1,000 below Kelley Blue Book! CARFAX 1-Owner, ONLY 7,865 Miles! Tacoma trim. Bluetooth, CD Player, iPod/MP3 Input, 4x4. READ MORE! KEY FEATURES INCLUDE 4x4, iPod/MP3 Input, Bluetooth, CD Player. MP3 Player, Child Safety Locks, Electronic Stability Control, Bucket Seats, Brake Assist. VEHICLE REVIEWS 's review says 'The Tacoma's utility is enhanced by the standard composite bedliner, which guards against the dents and dings that typically accumulate in a truck bed.'. Great Gas Mileage: 21 MPG Hwy. PRICED TO MOVE Was $35,032. This Tacoma is priced $1,000 below Kelley Blue Book. WHO WE ARE Family owned since 1944. Visit us in the heart of the Lancaster Auto Mall. Pricing analysis performed on 7/27/2016. Fuel economy calculations based on original manufacturer data for trim engine configuration. Please confirm the accuracy of the included equipment by calling us prior to purchase.